The poker player Chris Bolek has just won a great prize. In fact, he is promoted champion of the World Series Of Poker Circuit Palm Beach (WSOP-C) and has won the golden ring. 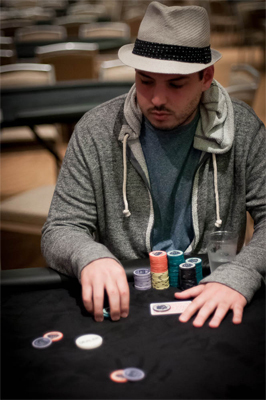 Its about a by default coronation as Bolek has finished runner-up during the main event of $1,125 of this poker tournament, which has taken place at Palm Beach Kennel Club in Florida, in the USA. The real current champion, Chan Pelton, has lost his title because of a story of stolen chips. As a reminder, Pelton has won the trophy. But he had the bad idea to take a chip of 25,000 from his stack. He has been caught in a flagrant felony. The organizers have carried out a deep investigation by viewing the video surveillance cameras. After, they qualified the gesture of Pelton as a theft and have pronounced severe sanctions towards him. First, the player has lost his title and wont be able to get the rewards of $47,000, and he is outcast for lifetime in all events organized by the casino. The organizers of the WSOP have afterward declared in a press release that Pelton wont be able to participate in the WSOP Circuit Championship, and in all future events organized by this brand. His suspension of the GPI completes the list of punishments caused by this chip robbery. However, questioned about the reasons which have pushed him to do so, Pelton has revealed that he just wanted to keep a memory of this great moment.